The Caribbean island of Dominica has released an update after Hurricane Maria devastated the cruise destination a year ago. The island is making a comeback and cruise lines continue to be committed. Dominica is a cruise destination located in the eastern Caribbean and in September 2017 was devastated by the strong Hurricane Maria. The storms caused major destruction across the island but Dominica is rebounding, rebuilding and open to cruise ships. For the 2017-2018 season, the island hosted 33 cruise ships out of 219 expected cruise visits prior to Hurricane Maria. 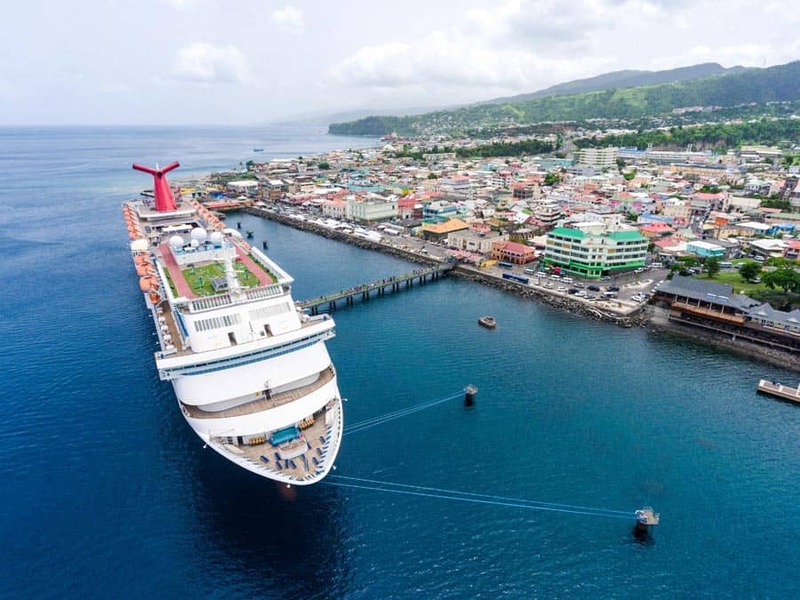 Since July 2018, Carnival Fascination began making bi-weekly stops to Dominica and will continue until November 2018. A total of 181 cruise calls – or 304,031 passengers – are projected for the 2018-2019 cruise season. Dominia has released a full update of how the island is doing and service which is now up and running. It is important to know the status of the island for those cruising there or planning on visiting separately. Douglas-Charles and Canefield – are fully open for commercial operations with same-day connectivity with international carriers to and from Douglas-Charles. The ferry service operated by L’Express des Iles is also available. A new ferry service, Val Ferry, began operating between Dominica and Guadeloupe in August 2018. Val Ferry runs a weekly schedule with seating capacity of 400.